Gardens are a theme in this Spring’s new releases from Kids Can PRess and rightly so. Spring is the time when we are eagerly planning our gardens and preparing for the coming growing season. Ojiichan’s Gift by Chieri Uegaki and Genevieve Simms is a lovely addition to the collection of garden themed books. When Mayumi was born her grandfather built her a garden behind his home in Japan and every year Mayumi and her family would fly to Japan to spend the summer with Ojiichan. It was an unusual garden, unlike the ones she saw at home. Mayumi and Ojiichan would spend hours enjoying eachothers company, tending to the garden and sitting in peaceful silence. One summer, everything changes and Ojiichan can no longer tend to the garden he has built. Mayumi comes up with a plan so Ojiichan can bring his garden with him to his new home. A lovely intergenerational story about a grandparents love and a grandchild’s resourcefulness and caring. Cheri Uegaki paints a perfect picture with her words, describing Ojiichan’s garden and the sadness Mayumi experiences realizing it is the last time she will get to spend time in the garden created for her. The beautiful illustrations by Genevieve Simms are a perfect complement to the descriptive words, transporting the reader to Japan and to Mayumi’s garden. There is a unique quality to the grandparent/grandchild relationship. It’s such an important relationship in a young child’s life. So much wisdom is imparted by grandparents and so much safety is found in their love. 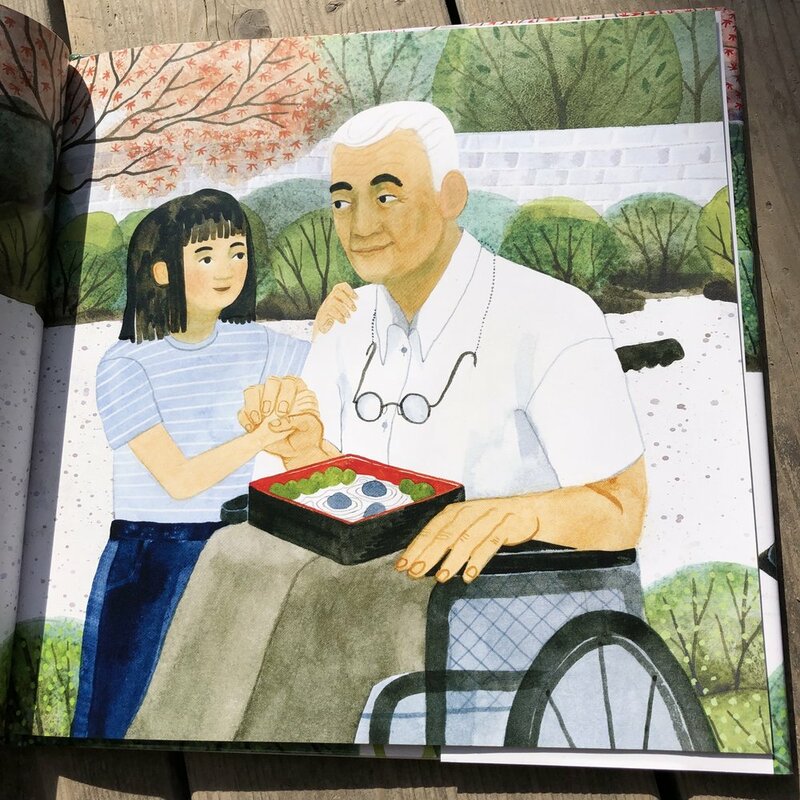 It’s wonderful how so many authors are creating beautiful stories about grandparents to help explain some of the challenges grandparents face as they age and to remind them how special these people are. 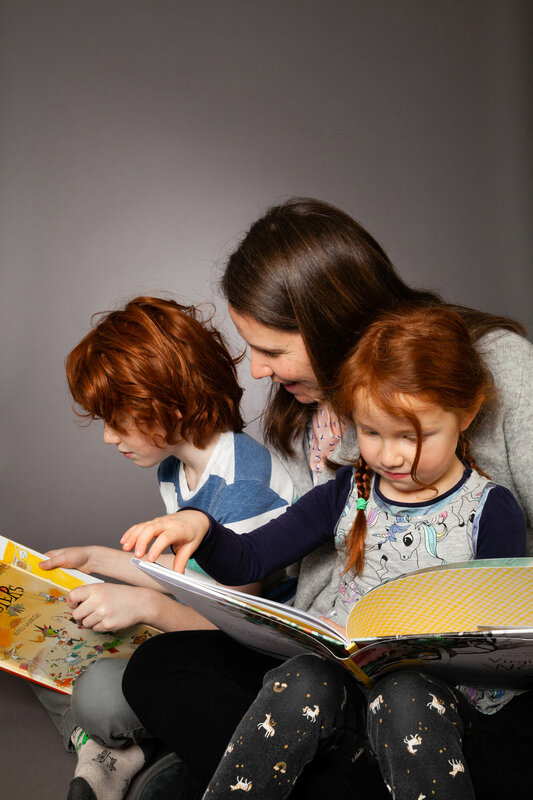 Thank you to Kids Can Press for publishing this lovely #OwnVoices story so our children have mirrors and windows to share their own experiences and share in the experiences of others.